Television in Australia hit a major milestone in 2013, as all analogue signals were turned off and digital TV took over. Without any doubt, this has been a positive thing for Australian residents as they now have a great number of channels and programming at their disposal without having to spend a great deal on new equipment. However, in some cases an upgrade has been required - whether it be a new antenna, television or set-top box. If you’re looking at replacing your TV antenna, or you’re just looking for a little information on the subject, this guide is for you. Digital TV is essentially an audio-visual transmission that is digitally processed rather than by analogue. From the viewer’s point-of-view, a lot has changed. Because digital transmissions can support a greater bandwidth at the one frequency, TV channels can broadcast multiple channels and can do so with greater picture and sound quality. It also allows for the transmission of radio stations and digital television which is also compatible with computers and the internet. In fact it’s likely that we’ll all be using one screen to access the internet, television and our landline telephones very soon. Another benefit is the fact that if everything is set up properly, the reception is much more steady and reliable. How do I gain access to digital television? Because they are only digital television signals available at the moment and technology is aimed at picking up on these signals, gaining access is very simple. If you have an old analogue television, you can purchase a set-top box (which essentially deciphers the digital signal so that your analogue TV can interpret it), plug it in and you shouldn’t have any problems. But we’d strongly recommend purchasing a digital TV as they are various advantages to doing so. For one thing, you don’t have to have the set-top box taking up space in your lounge (keep in mind it will soon be all but obsolete). Further, digital TV’s provide a clearer picture, can be connected to computers, often have USB port and can be connected to other devices via a HDMI cable. 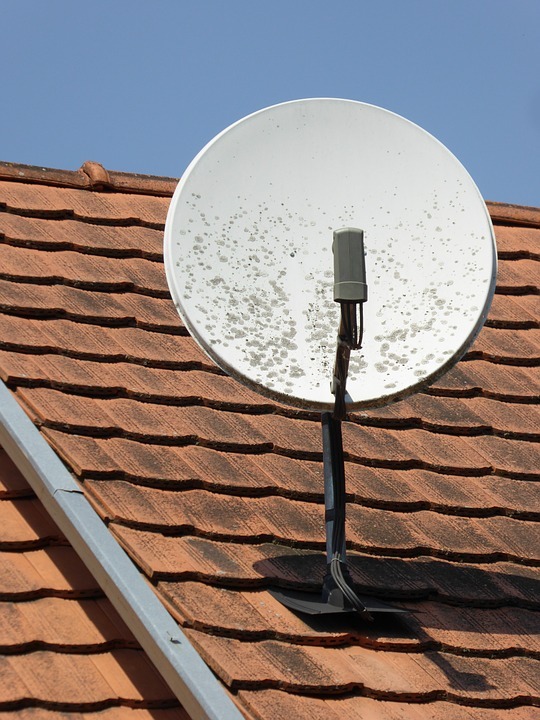 When it comes to antennas, chances are you’re good to go with an old analogue antenna if it’s fitted to your roof. If you have an analogue indoor antenna or bunny ears, these can still work but you’re probably looking at a pretty poor signal most of the time. Of course this depends on various factors including your location, proximity to large objects around your home and where the TV tower is. Again, if this is the case or if you are finding that your existing antenna isn’t reliable, upgrading the antenna is a good option. What do I need to know about buying a digital antenna? There are many options here when it comes to purchasing a digital antenna and again the appropriate solution will depend greatly on your specific circumstances. Basically the first thing you have to ascertain is how long-term you want this antenna to be. If you are renting, you might want to look at buying an indoor antenna - setting these up is very simple and you can take it with you when you move on. Basically you just want to make sure it’s not placed near any large metal objects and you should be able to get a signal that is workable and fairly reliable. For an outdoor, long-term and higher quality solution - if you aren’t getting help from a professional antenna installer, you’ll need to find out how close you are to your local television broadcast tower. There are different digital TV antennas that are more appropriate when you are close by. Do you’re research, ask your retailer and they’ll be able to give you the proper solution. You can buy new antennas from most electronic retailers. Unless you have purchased bunny ears or an indoor digital antenna, we’d strongly recommend going with a professional. This will save you the trouble of having to conduct research to make sure you’re getting the right antenna and also saves you having to do the installation yourself. Installing a TV antenna is no easy task for a DIY homeowner. It’s much more involved than simply plugging cables in the right sockets. It involves spending a great deal of time on your roof, fiddling around with wires, trial and error, testing and diagnosing problems that might crop up. It’s quite dangerous and frankly, it can be difficult to get things working properly without experience and knowledge. For a professional, there is a lot that comes into choosing the appropriate antenna system for a customer and they work with you to get the best possible reception possible with the use of amplifiers and boosters if needed. Generally speaking, any digital television should automatically pick up on the channels however asking your television to scan for new channels is an option if you they aren’t properly synchronised. When the analogue signals were officially turned off in 2013, home owners needed to tune their televisions to ensure all channels were being picked up at the correct frequency, but this shouldn’t be a problem now. In fact, tuning one’s television is becoming a rather ancient concept within itself. If the picture and/or or is scattered it’s more likely that you’re having reception issues (see below). - Faulty and deteriorated cables can lead to poor reception if wires aren’t making contact correctly. If you’re experiencing problems unplug and re-plug all the cables leading to your television. - If you are in an area with tall buildings and/or trees, or living in a valley, poor reception might be noticed every so often. This is because the signal struggles to get a direct line to your antenna. A professional may be able to provide a solution here. - Poor weather conditions can lead to bad reception. Further, high winds and storms can dislodge or do damage to your outdoor antenna, which can be harmful to your picture and sound quality. If you need to speak to a professional about your antenna and digital TV situation or just need some advice, feel free to give the team at Local Bloke Antenna Services a call in Brisbane today. We’d be happy to hear from you!